ATTENTION! Beware of frauds! Use only the official website: https://syntera.io/ and our official accounts on social networks. Do not send your fund to the wrong wallet address. Tero Fund by Syntera Has Been Started! You just need to have account in Syntera to login in Tero Fund. Use the same login and password. Syntera - is an own blockchain platform (with own Ethash algorithm based on ERC20 + Masternode from Dashcoin). Total supply of coins - 48.000.000 SSC, 15.000.000 of which were allocated for ICO. Token sale started on 1st of April with price 1 SSC = $1. After the end of the token sale the price for 1 SSC is more than $2. Network marketing program «TeroFund» will start after 15th of June (3rd week of June). All bonuses will be calculated in the internal currency of the program - USDH. If you want to participate in the network marketing program «TeroFund», you should buy SSC and convert them into USDH. Syntera will have own ecosystem. Tо Syntera all ages yield surrender. Who said that cryptocurrencies are only for millenials and the younger generation? Tо Syntera all ages yield surrender. Who said that cryptocurrencies are only for millenials and the younger generation? The good news is that other day the Syntera conference, which gathered an adult and conscious audience, took place in Kazan. Sharing economy allows everyone to actively participate in global economic processes, and Syntera Sharing Coin provides absolutely anyone with the ability to immediately start making profit. With Syntera platform everyone can become a professional investor, regardless of their age, profession, social status or geographic location. Follow our news, we are just getting started! Syntera Sharing Coin has organized the training of the youth organization of blockchain activists in Kuala Lumpur. Young people find out more about the notion of sharing economy, its influence on our society and world business processes. The issues of sharing tokenization, as well as cryptoinvestments in the early stages, are discussed. The Syntera conference in Kuala Lumpur lasted several hours. 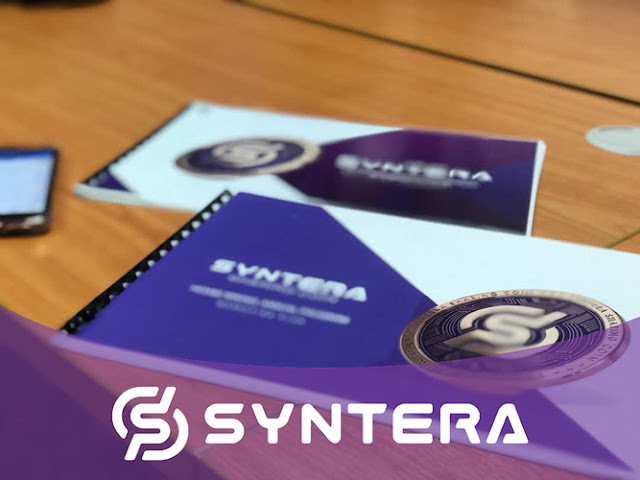 The guests of the event wanted to know about all the details about the project and operation of the future platform, as well as find out about opportunities to make profit with Syntera Sharing Coin. A large number of investors and businessmen from Malaysia were interested in taking part in the event, so the hall was absolutely packed. Representatives of Syntera, who arrived to Kuala Lumpur just to take part in the conference, took on the roles of speakers. All guests received branded gifts from the company. And we are witnessing how the idea of Sharing Economy gradually captures the minds of progressive people around the world.